2 Bedroom End of Terrace House For Sale in Totnes for Asking Price £180,000. FEATURED IN THE BIG OPEN HOUSE. 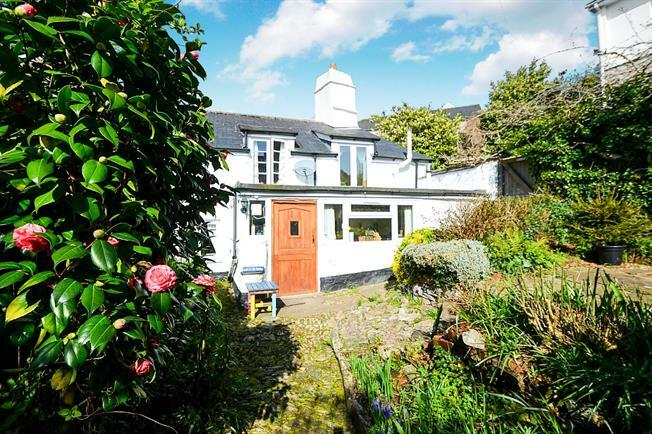 Fulfords are offering a delightful cottage full of character. The property consists of lounge with ceiling beams and deep window sills, and feature fire place with log burner. Kitchen fitted with modern units with spaces for appliances. First floor two bedrooms and bathroom. The property as a walled pretty enclosed garden with plenty of mature bushes and shrubs. Window to the front, feature stone fire place with log burner, ceiling beams, radiator stairs to first floor. Character window to the rear, looking into the garden. Wash hand basin. Radiator, ceiling beams. Character window to the front. Ceiling beams. Three piece bathroom suite with panel bath with mixer tap and shower attachment, mid level WC. Wash hand basin, with tiled splash backs. Window to the rear. A pretty walled garden with lots of mature shrubs and bushes. Crazy paving and flower borders.